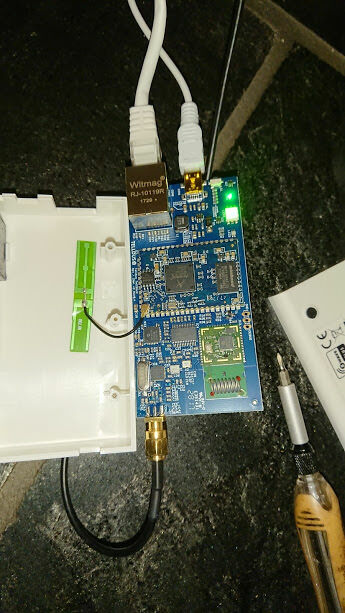 I had enough of the poor Z-wave coverage on my Z-net v2, so I decided to do something about it. To open the Z-net, remove the rubber feet and two screws. The case will separate and you can pull out the PCB. Disconnect the cable from the antenna in the lid. 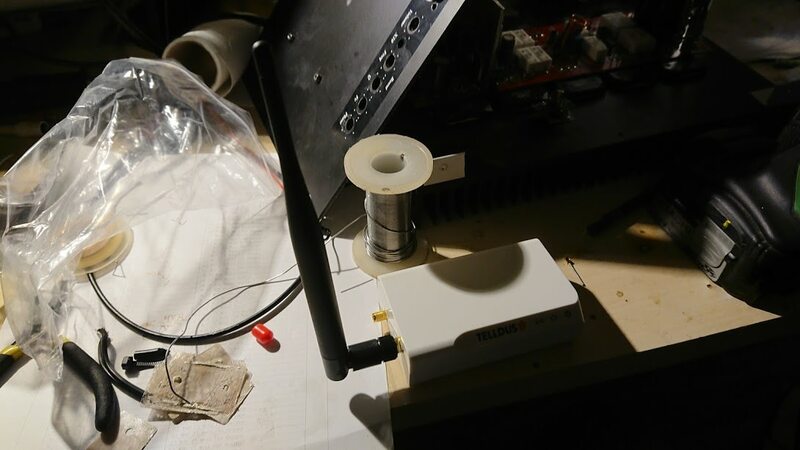 This seems to be a WLAN antenna. Strip the insulation on the SMA connector wire and separate the core and braid. Finished result. Sorry about the mess, I had another project spread out on my desk. 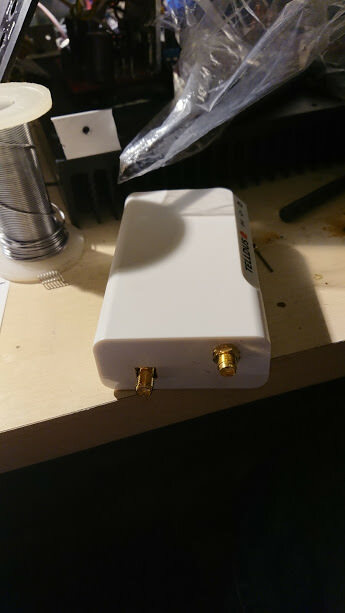 Before installing the external antenna I had trouble getting feedback when switching on and off some outlets and sometimes the outlets didn't even switch on/off when I sent commands. 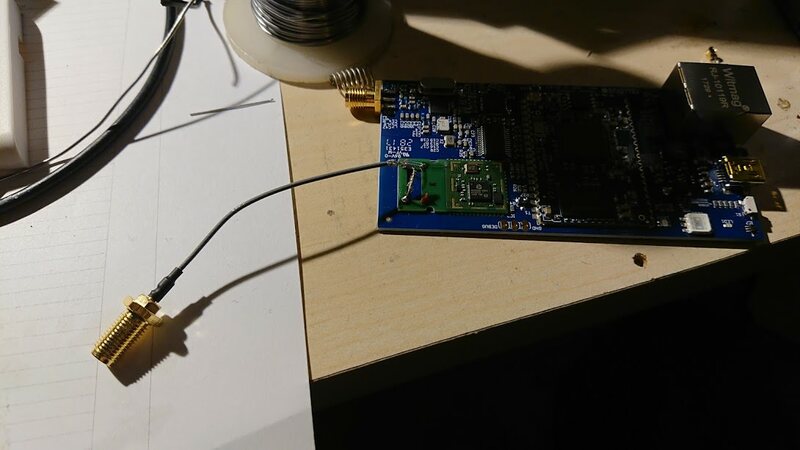 It seems like this antenna mod helped a lot. Now I get feedback from all my outlets and the status in telldus live change much faster. Nice work! 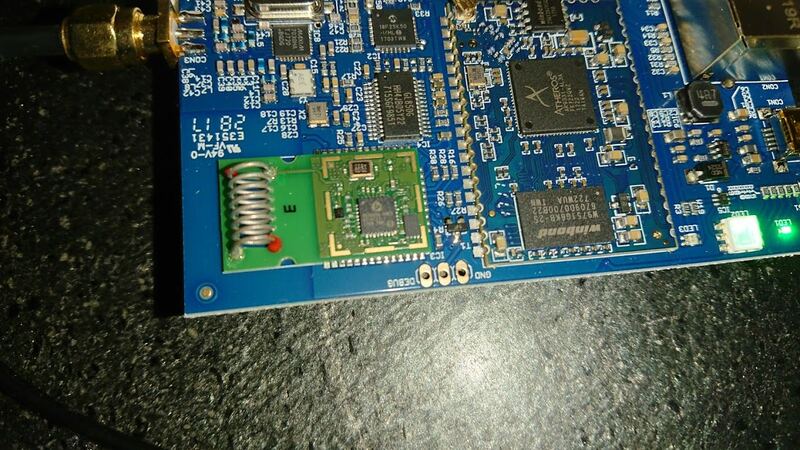 I guess the reason Telldus (and other producers) have an internal antenna is because of Z-wave certification. 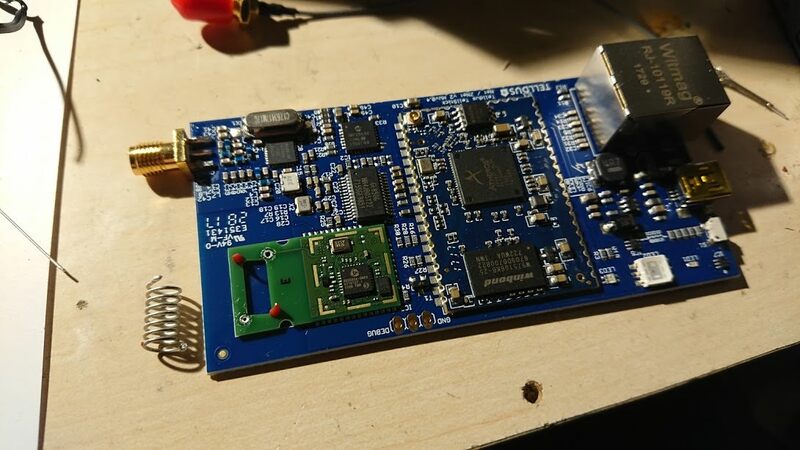 The controller must fulfil a range of radio parameters before it can be put on the market and then it's not possible to use a non-standard antenna.